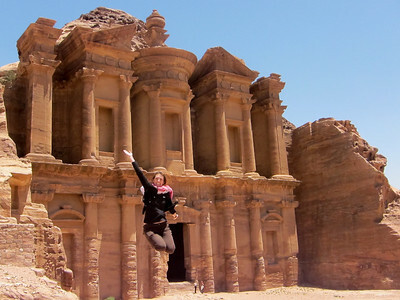 Jumping for joy at the Monastery (Ad-Deir) in Petra, Jordan. 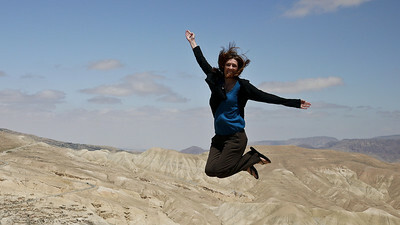 A starfish jump over the deserts in Jordan. 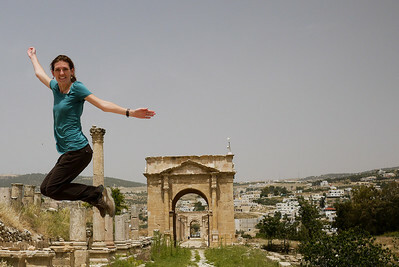 Jumping at the Amman Citadel in Jordan's capital city. 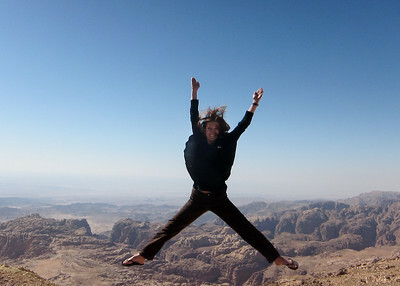 Jumping in the red-orange sands of Wadi Rum desert in Jordan. The pretty salt rocks lining Jordan's side of the Dead Sea. Covered in Dead Sea mud from head to toe and on the shores of Jordan's side. 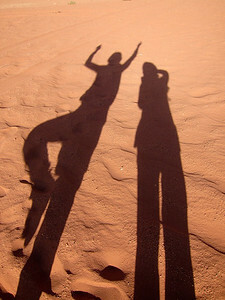 The sands of Wadi Rum Desert. 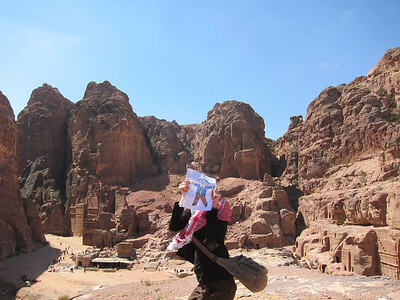 A failed attempt to jump on the Street of Facades with Flat Stanley in Jordan.